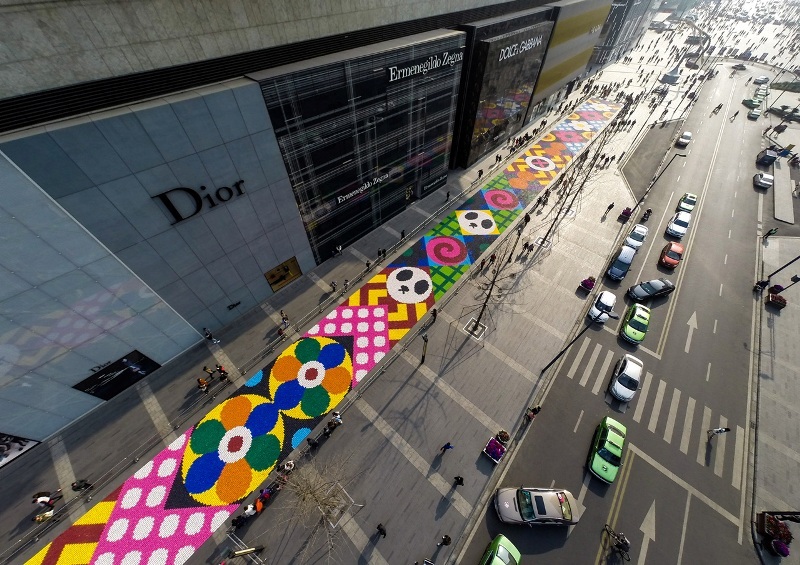 For the upcoming Chinese New Year, on February 19, artists Craig Redman and Karl Maier, of the well-known duo Craig & Karl, have created what is likely the world’s sweetest street. 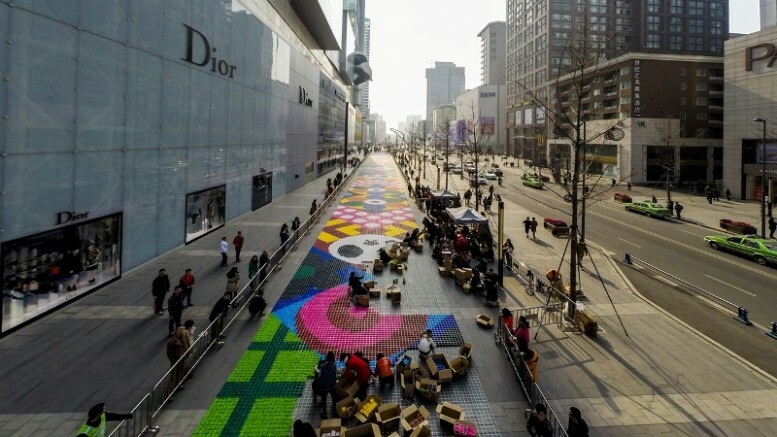 Covered with over 13 tons of candy, Chengdu Street, in the Sichuan province of south China, is currently attracting hundreds of visitors from across the world. 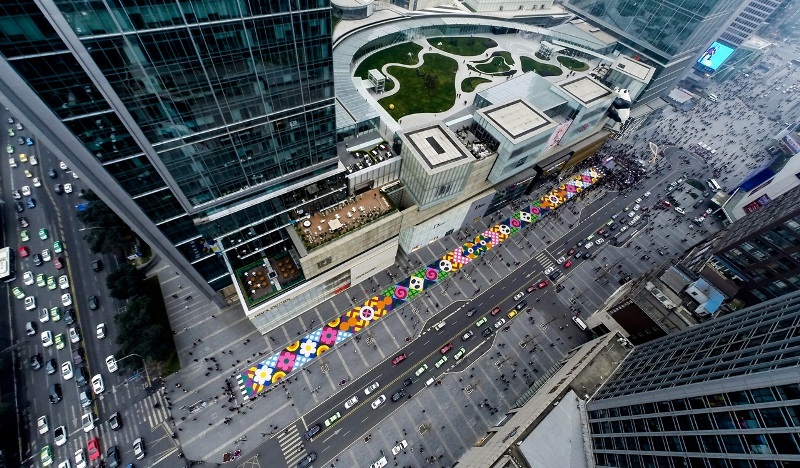 Measuring up to 607 feet in length and 23 feet in width, the brightly-hued candy carpet contains adorable images of panda bears, flowers and local talismans. The brilliant neon colors, of the artwork, provide a much-needed contrast to the otherwise dull and grey cityscape. 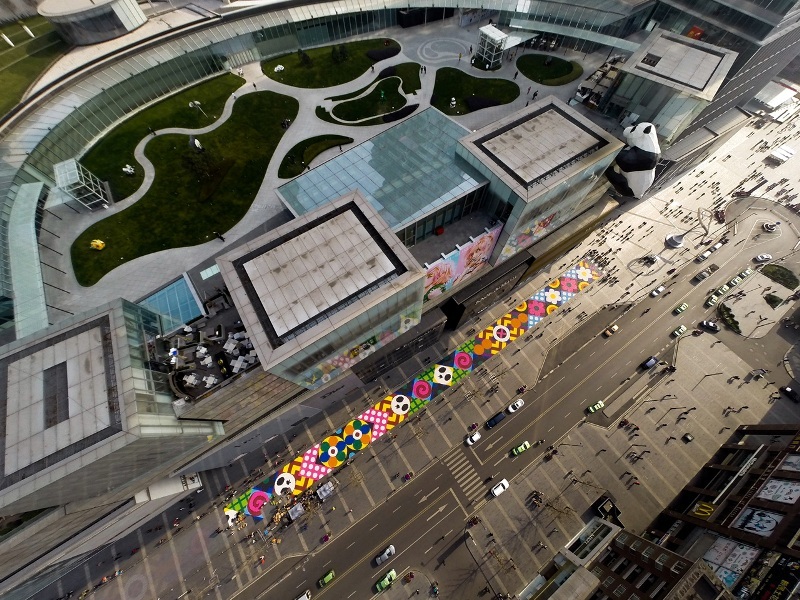 For the exhibition, aptly known as “Sweet as One”, as many as 2000 volunteers came forward, individually placing the candies into pre-designed patterns. 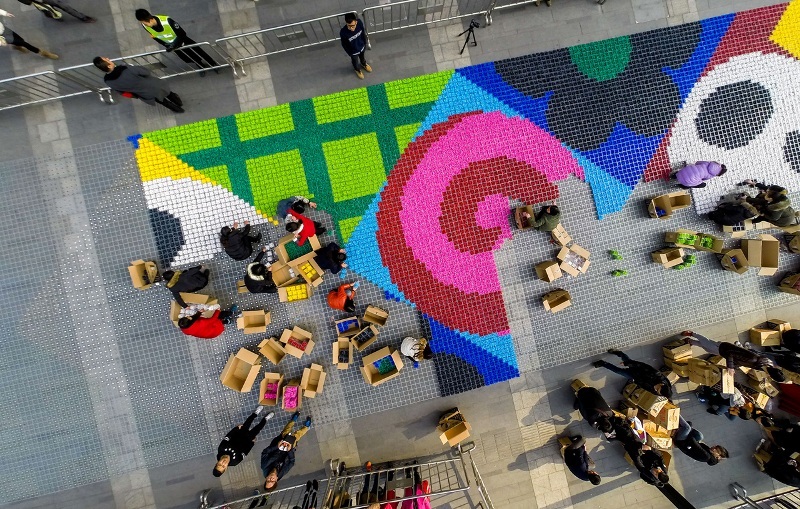 The entire artwork took about five days to complete. 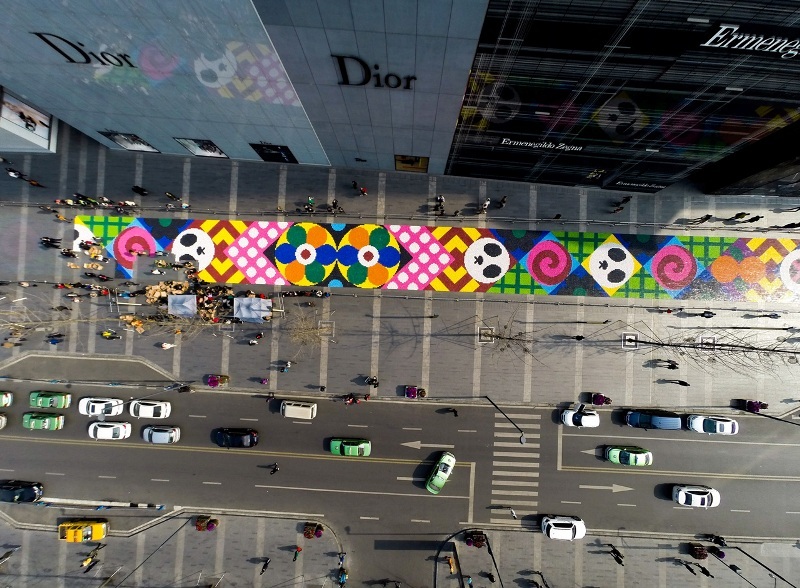 The exhibition, organized by Hong Kong-based studio AllRightsReserved, aims to spread awareness regarding the difficulties faced by underprivileged children, especially in rural areas. In addition to the 14,000-square-feet candy carpet installation, the sponsors are planning to donate 15,000 meals to the less fortunate.